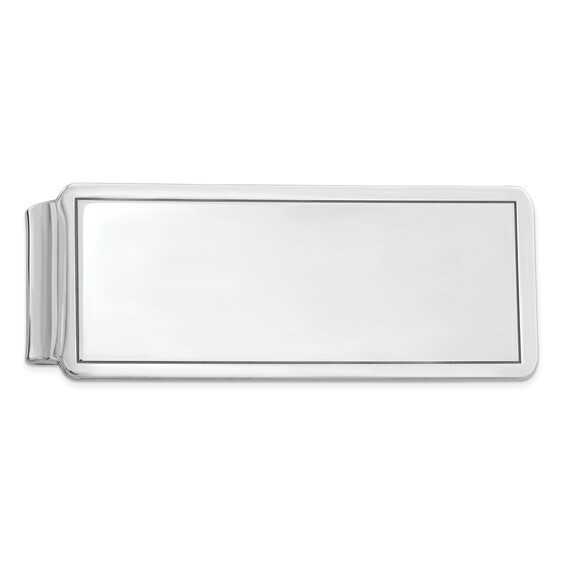 This polished sterling silver money clip features a distinctive rectangular groove. Measures 1 7/8 inch by 11/16 inch. Weight: 13.89 grams. Made in the USA.